The clash at the Delhi University’s Ramjas College between the Akhil Bhartiya Vidyarthi Parishad (ABVP) and the All India Students Association (AISA) did not happen in a vacuum. Rather, the incident, triggered by attempts to bar two Jawaharlal Nehru University (JNU) students from a seminar at Ramjas College for their alleged “anti-India” stance, symbolises a greater ideological battle, said an article hosted on the Observer Research Foundation (ORF) website. Arun Anand, former media adviser to union health minister JP Nadda, writes in the article “Campus clashes are outcome of larger ideological battle” that it is an outcome of the cloak-and-dagger game between the Left and the Rashtriya Swayasevak Sangh (RSS). This particular incident and the fallout in terms of pitched battles between the ABVP and the Left — both online and offline and supported by different sections of society — is a reflection of the ongoing, intense ideological war between the Left and the RSS in the country. The stakes are high and so is the intensity of the battle. There were attempts to position these battles as the ‘ABVP versus the rest.’ But that may not be the case. Anand writes that the ABVP is one of the front organisations of the RSS and has been active in university campuses across the country. The organising secretary of the ABVP is an RSS Pracharak (full-time cadre). However, the organisation retains autonomy in its daily functions.The ABVP has been on the forefront of the JP movement of the 1970s and many of its leaders were arrested during the Emergency (1975-77). Atleast a dozen ministers of the current government at the centre (including some senior Cabinet ministers) have worked actively and fought student elections on the ABVP platform while in university. Anand goes on to say that the nation is aware of their long-standing conflict in Kerala, simmering since the 1960s. It is interesting, in fact, that the incident at DU happened around a week before the RSS cadres were set to hold a nationwide demonstration against the killings of RSS members in Kerala by the Left cadres. This was the second such demonstration by the RSS on the killings within a span of a couple of months, showing its resolve to call attention to the issue. The RSS claims that more than 300 of its cadres have been brutally murdered in Kerala by the Leftists since the 1960s. The Left has also made similar counter-claims. In 2016, the Left Democratic Front had won Assembly polls in Kerala and formed the government. Since then the friction between the RSS and the Left has worsened. However, the immediate genesis of these clashes between the ABVP and the Left-backed student organizations in university campuses can be traced to the BJP’s landslide victory in the Lok Sabha polls of 2014. Subsequent developments in Kerala have added fuel to the fire. 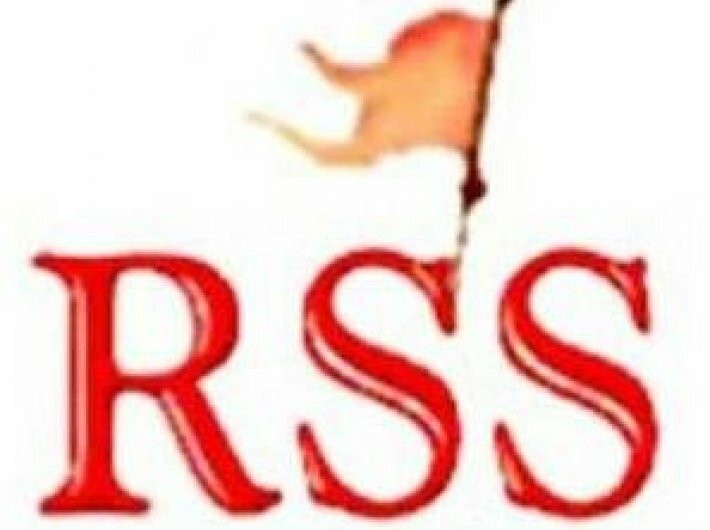 “The RSS has always believed that the country’s academic institutions and university campuses have been ‘infiltrated’ by the Left since the early 1970s with the support of Congress. Anand writes that the Left saw the impact soon enough, as appointees of the previous governments were replaced at a rapid pace. New vice chancellors have already been appointed in most of the important universities and they are known to be not leaning towards Leftist ideology. With the BJP ruling in a number of important states like Madhya Pradesh, Rajasthan, Haryana, Jharkhand, Gujarat, and Assam, the changes are happening not only at the Central educational institutions but also the state universities. “…The last bastion of the Left is university campuses where they still have a strong presence amongst faculty. Amongst students, the Left-backed student organisations do not hold as much sway as the ABVP or the Congress’ student wing, the National Students Union of India(NSUI).